Classrooms can get pretty chaotic if you aren’t able to maintain structure and routine. Managing 20+ kids and all of their stuff is no easy task, and keeping your students focused can depend on maintaining an orderly and well thought out classroom. To keep your students on task and working productively, take a look at some of these tips for arranging your classroom. Determining where your furniture is placed and ensuring optimum traffic flow is critical to reducing traffic jams at the pencil sharpener, or at the bathroom. Another large item to consider is where to place your desk. You’ll want it to be in a position where you can monitor the whole room, while still being able to easily access your teaching materials. One thing you want to do is to make sure that any computer screens that students may be using are visible to you, to ensure that they are using electronics for the intended purposes. Most teachers are moving towards a numbers-based system of organizing classroom materials. Assign each student a number, and then number the supplies. Each child is responsible for keeping track of the materials corresponding to their number. This works for textbooks and scissors, as well as cubbies and cabinets. It can also help you keep track of grades, assignments, and work that is being submitted. In addition, you can collect papers by number and have them already in alphabetical order for when you need to input grades! To keep things moving smoothly and to keep distractions to a minimum, make sure that you have frequently used communal items like boxes of tissues, trash cans, and pencil sharpeners in multiple locations throughout the classroom. This will keep interruptions to a minimum as students will have access to these items without having to walk across the room, distracting other students and taking longer than necessary. You will want to invest a great deal of time in designing a filing system that works for you. This should include places for lesson plans and informational resources, supplies, student records, your own training and personnel records, and all handbooks and policies that you need to keep up with. There should be several different filing systems depending on the purpose. 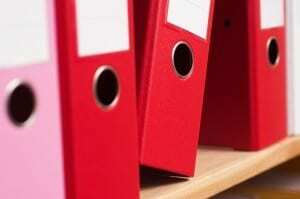 Your personnel records and any student records need to be kept securely. Lesson plans, assignment sheets, and other teaching materials should be left in a place that is accessible to a substitute teacher and your students. One of the best ways to increase efficiency and productivity in the classroom is to create as many “self-service” areas for the students. It not only keeps your workload down; it teaches your students about accountability from an early age. Attendance boards where kids flip their own cards over when they arrive in class, a “Were You Absent?” board where kids can pick up any assignments they may have missed, and bins where assignments can be turned in or retrieved can help keep up with administrative tasks. This allows you more time to focus on learning and instructional time, and more time to engage with your students. There are plenty of other ways that you can add to the environment to help make your classroom function a bit more smoothly. One of the biggest things to remember is that your own attitude sets the stage for the vibe in your classroom. If you keep things calm, organized, and stress-free, your kids will be too.